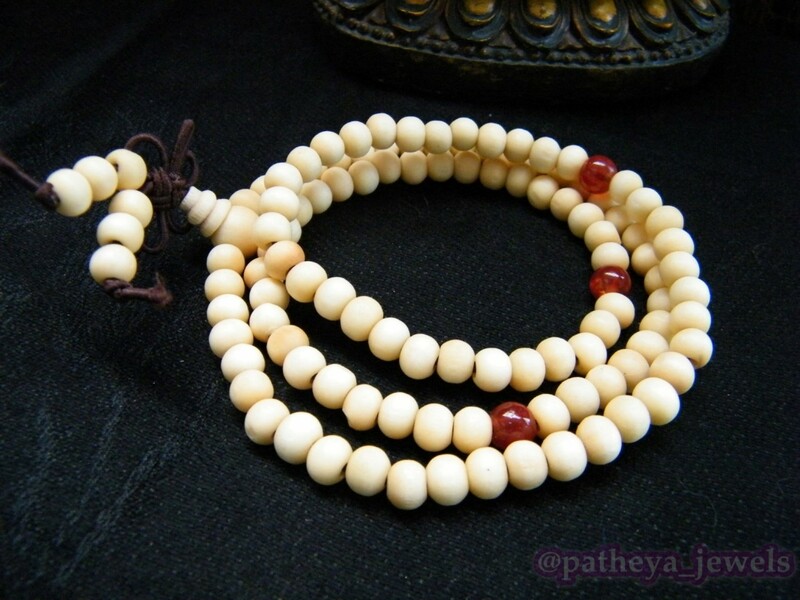 Materials: White wood 6mm beads on brown cord. 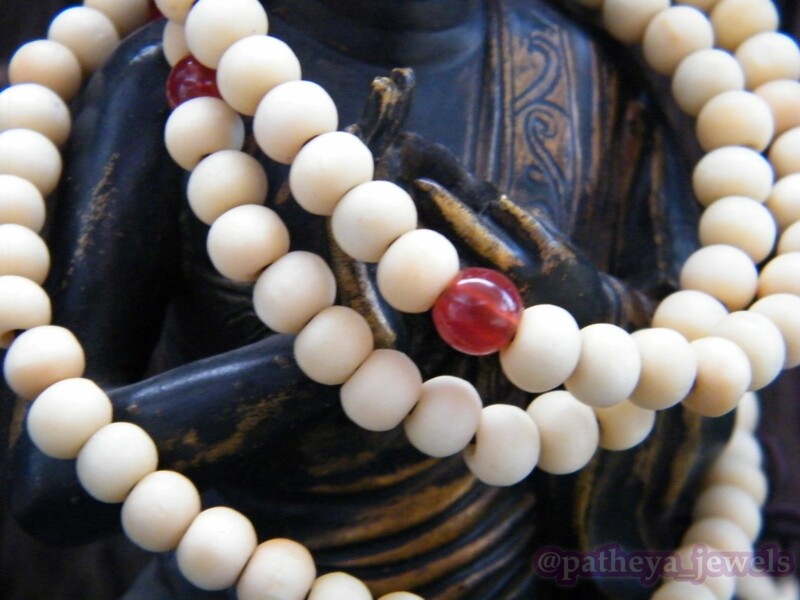 Three dyed red agate focal beads as counting markers. 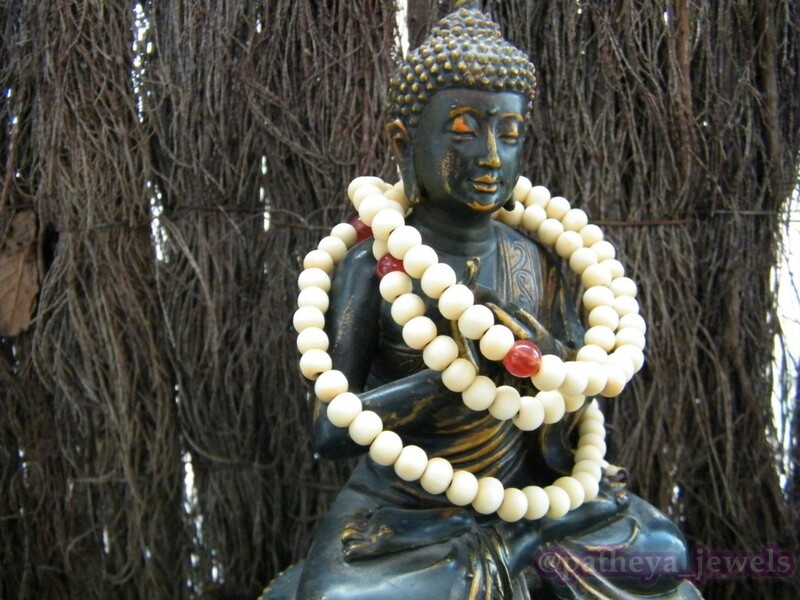 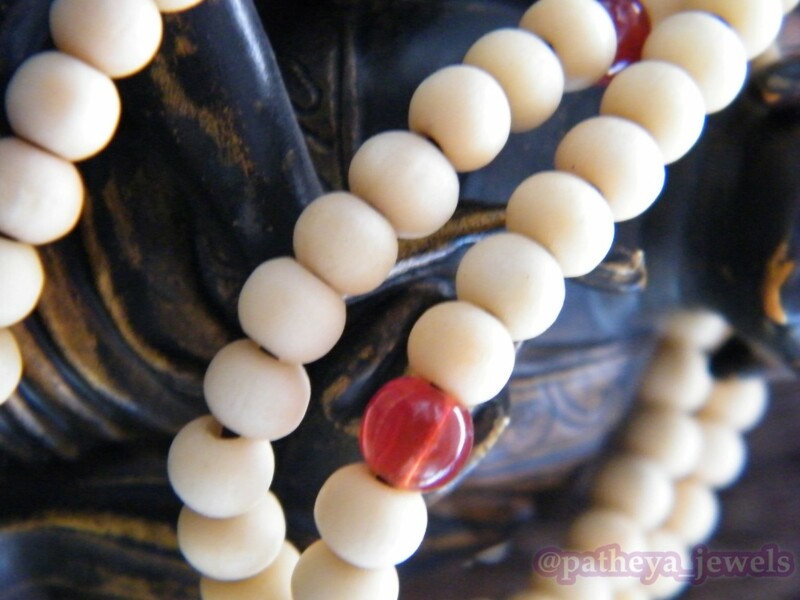 Learn a little more about different types of prayer beads at Darma Beads. 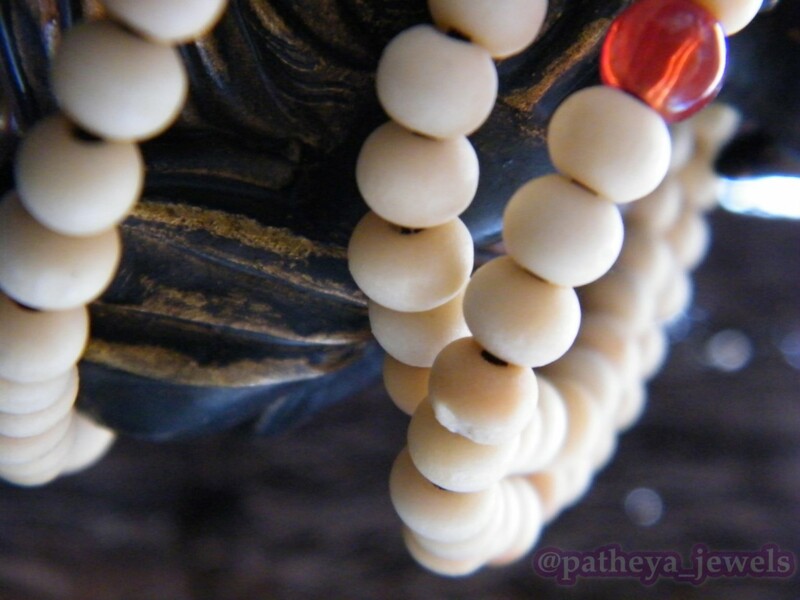 I love wearing my prayer beads! 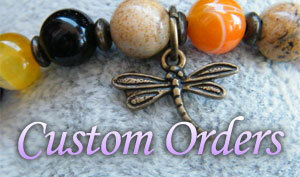 They are so light and attractive and they go with loads of my outfits.